Hi all, I am pleased to be able to share some recent family Birthday cards with you today. They were for my brother's wife, Anne, who celebrated her birthday last weekend. Sadly her birthday was tainted with some bad news, as her lovely Mum Thelma sadly passed away earlier in the week, but I hope Anne was able to celebrate in some way, knowing her Mum was looking down on her. Here are the cards I made for her, from myself, my Mum and my sister Kathy. 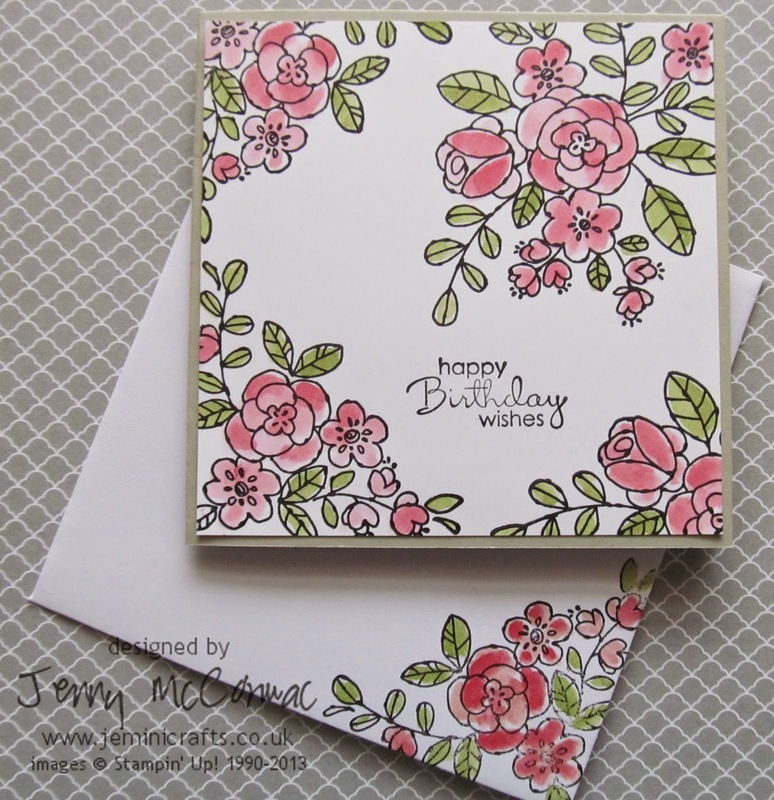 The first uses the ever popular 'So Very Grateful' stamp set - I just love these flowers. 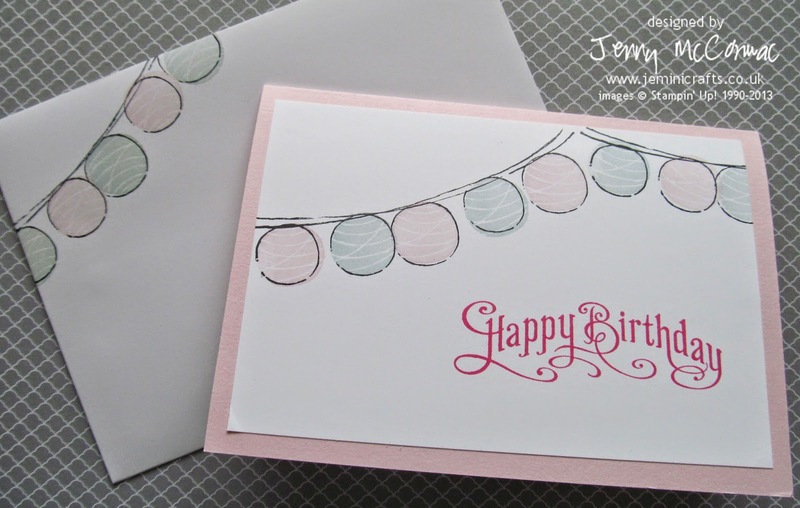 The second card uses the chinese lantern stamp from Happy Congratulations. 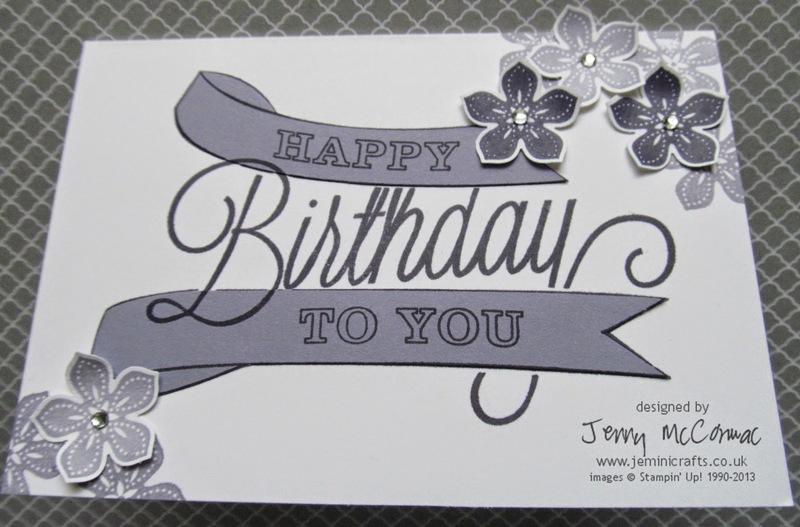 The final card uses a large Happy Birthday image - I stamped it once onto the card and then again onto Wisteria Wonder card and simple cut out the two banners. 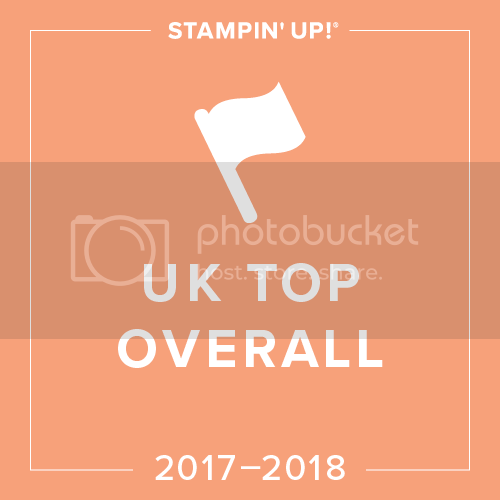 I added the Petite Petals stamps to finish it off.